Ms. Lynch is an environmental scientist with over twenty years experience in environmental characterization and remediation. She is currently the ORD STL in Region 10 and is providing technical support on RP, Federal Facility, and Superfund lead projects. She has expertise in the characterization and cleanup of groundwater DNAPL sites. She is a member of the EPA Engineering Forum. Prior to working for EPA Region 10, she served as one of the Army Corps Innovative Technology Advocates (ITAs) for ten years, and worked in the Quality Assurance Management Section (QAMS) for EPA Region 9. She has been involved in the design and evaluation of several Department of Defense Environmental Security Technology Certification Program (ESTCP) research projects and has served as an advisory committee member for the University of WA Superfund Research Program grant. She has been involved in the development of numerous EPA and US Army Corps guidance documents on environmental remediation and characterization. 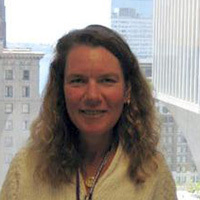 She has also been the author on several journal articles on cleanup approaches and the use of adaptive site management (Triad approach) to site characterization and cleanup.